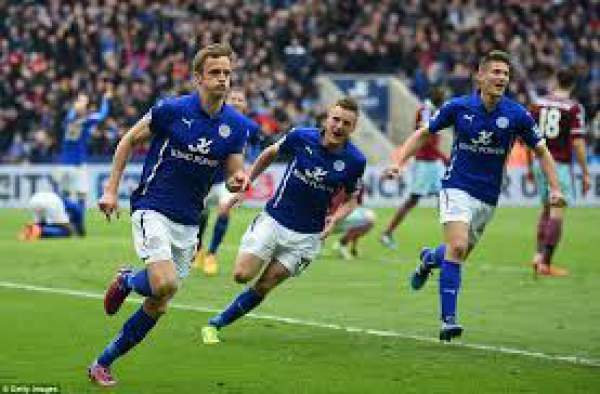 Leicester City will play West Ham today in the 19th match day of the Premier League 2016. The title defenders L City hosting Westham United. Leicester are currently 16th in the table with 17 points from 18 games, one point below Middlesbrough and one point above Crystal Palace. West Ham United are 11th on the table with 22 points from 18 games, below on goal difference from Watford and one point above Bournemouth. The title defenders are not looking good at all as they are currently in the race to avoid the relegation zone, being just three points above the relegation zone right now. Their star players who performed very well last season are nowhere to be seen except N’Golo Kante who transferred to Chelsea and is enjoying life sitting on top of the table. Jamie Vardy is definitely not having any party this time around and also that he is currently on a two-match suspension and will miss this game as well. Riyad Mahrez is also struggling to find any kind of form and hence the team is struggling to stay in the Premier League. Both teams have played 81 matches against each other out of which Leicester City have won 28 games, West Ham United have won 33 and 20 have been drawn. Leicester won against them last season and drew the other match. West Ham United last won against them in the 2014/15 season by 2-0 at home. West Ham United are slowly moving up on the table as they won their previous game in the league against Swansea City by 1-4 away from home. Andre Ayew, Winston Reid, Michail Antonio and Andy Carroll scored for West Ham United, and Llorente scored for Swansea City. Schmeichel, Wasilewski, Simpson, Chilwell, Morgan, Albrighton, King, Amartey, Gray, Slimani, Okazaki. Randolph, Nordtveit, Ogbonna, Cresswell, Reid, Kouyate, Ayew, Payet, Noble, Antonio, Carroll. Both teams are looking for the three points and will try their best to get it.